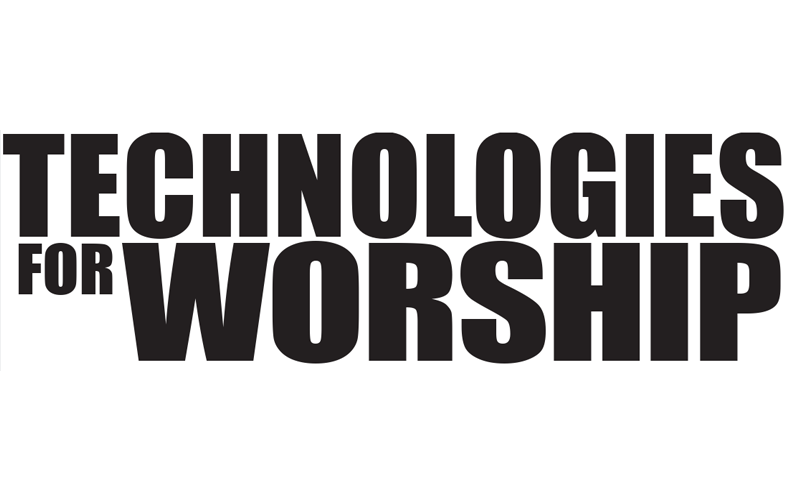 Can Church Tech Teams Really Go “Green”? For production-centric churches, going Green is a challenge. 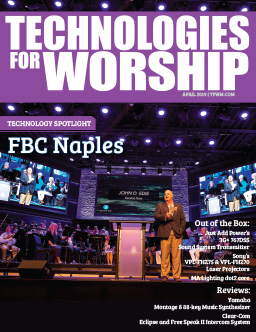 After all, in producing an event every seven days-a schedule even the most resourced Broadway theatres would find daunting, church tech teams are likely the largest consumer of non-renewable resources in the ministry. Paper for run sheets and music, energy, equipment, and set pieces are required-much of it unable to be recaptured after the initial event. And, to be fair, my industry-the audio, video and lighting consulting industry-hasn’t aided in the quest. For the most part, we’ve come late to the environmental conversation. For companies that are passionate about designing technologies that assist churches in connecting with people, the Green issue is gaining in importance. Al Gore and Greenpeace aside, of the eight magazines I track regularly, Green has been the cover story for five of them in the past month. This is definitely something people are talking about. If we are serious about relationships, then it would appear we need to share the concern. It’s a daunting task. After all, switching our Styrofoam coffee cups to paper isn’t going to stop global warming, and those Sunday deadlines still have to be met. Adam Werbach-former president of the Sierra Club-has come under fire recently for consulting with Wal-Mart-an organization Werbach previously condemned as toxic. As the largest mass-merchandiser in the world, Wal-Mart has been criticized for employee conditions, packaging, and flooding the market with cheap, disposable goods. So why would Werbach decide to work with the world’s largest retailer despite harsh criticism from his former supporters? Scale. If Werbach can influence even a fraction of how Wal-Mart does business, the results could have very real impact. Even more significant than why, is his approach. Rather than work with Wal-Mart on changing policy, he is going after the employees. After all, if he can get the employees to care about sustainability, he can deeply influence the organization and create real and lasting change. Werbach is inspiring employees to come up with a Personal Sustainability Project (PSP) a single, repeatable action–biking to work, quitting smoking–that is good personally and for the wider world. There is no mandate from corporate. Werbach is focusing on connecting with the personal passion of each employee. They choose the goal. They create the action. Everything is volunteer. For church technical teams who operate primarily with volunteer staff, connecting with people’s passion is something we do well. How difficult would it be to inspire our teams to choose their own sustainability projects? Taking only one car to church-even if one spouse has to be there early for a volunteer role, setting the printer to double-sided printing to default, shutting down computers overnight, structuring printed material such as lyrics and music so that it is filed and reused…any one of these things could make our church technical teams more “Green.” But what if it wasn’t limited to that? What if we inspired our teams to do something that they would implement daily in their own lives-something of their own choosing? Couldn’t it possibly web out from there into a culture of sustainability that transforms the church? A lot of the Green conversation focuses on how well resources are utilized. For example, if a soda can is used once and thrown into a landfill, it is bad for the environment; however, if it is recycled and has new life as a paper clip, that is good for the environment. Churches are often behind the curve in terms of multiuse and repurposing. For example, in many churches the architecture is developed for single use. Large auditoriums, choir rehearsal rooms, Sunday school classrooms…much of this space can only be used for one purpose and many times is only used a few days a week (and in some cases is cooled or heated all seven). Worship and technical teams have the ability to influence this dialogue and introduce concepts for creative use of space outside the norm. The possibilities go way beyond the traditional gymnatorium / worship center multiuse space. For example, Fielder Road Baptist Church in Arlington, Texas had a missional focus to reach their community and in doing so, took an unexpectedly Green action. In building the 3,500 seat auditorium to meet their needs for Sunday morning worship, Fielder Road considered usage beyond Sundays. Their location at the center of the community made it a prime spot to create a facility the community could use for concerts, theatre, meetings and corporate events. The new facility, called the MetroCenter has its own website, calendar and booking department-including a full-time facility manager. Crosspointe Church in Carrollton, Texas is taking a similar approach. The church wishes to relocate to a community that wasn’t currently being well-served by other churches in the area. They targeted a planned development north of their existing location. The community has well-documented plans for multi-family space, retail, corporate campuses and housing, but not a single acre has been allocated for a church. Crosspointe is working with design professionals to develop a plan for a shared community space that includes a blackbox theatre, amphitheatre, meeting rooms and art gallery space that can be co-developed with the community. Sheffield Family Life Center in Kansas City has a television studio that doubles as the choir rehearsal room-expanding its use. This conversation isn’t limited to new construction. Existing facilities can be put through a room-by-room audit by asking a few simple questions such as: How many hours a week is the space “dark”? What else could it be used for? Could a simple renovation expand which ministries could access the space? Are there strategies that could open up the space to the community? • Theatrical fixtures have moved away from standard 1000 watt lamps to compact filament lamps in 375, 575, 600, and 750 watt varieties which equal or exceed the output of the 1000 watt. • LED’s-which are extremely energy efficient-are also becoming more useful. Manufacturers such as Pulsar, Elation, and Color Kinetics are offering LED’s that can be used at a theatrical throw distance. • SineWave dimming not only reduces noise from buzzing lamp filaments, but also offers extended lamp life and reduces power costs. • Manufacturers are now developing LCD monitors that use energy efficient LED backlighting. It’s a reality. Tech has a limited lifespan. Computers, audio, video and lighting equipment get upgraded and replaced. How many CRT’s are sitting in landfills because they’ve been updated to flatscreens? And let’s not even talk about the early palm pilots and cell phones. Kirsten Sibilia of FXFOWLE-an architecture firm who is passionate about sustainable design-talks about the concept of planned obsolescence. What if every piece of equipment specified had a plan for its life after it is replaced? Developing a plan for updated equipment is as simple as determining it’s second life. Many times obsolete equipment can be repurposed by your own ministry in another space or on another campus. 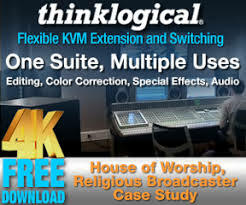 Acoustic Dimensions has worked with clients such as Perimeter Church in Duluth, Sevier Heights in Knoxville, and many others to give pro audio, video, and lighting systems an extended lifespan by reutilizing equipment in youth and children’s facilities, fellowship halls, athletic facilities and satellite venues. If there are no opportunities to repurpose the equipment on your own campus, consider that what is obsolete for your ministry may be an upgrade for another ministry or a local school. Take the time to make the call to find out if your gear can be donated to someone else. Recycling equipment is difficult. Though portions are technically recyclable, toxic materials can be released when the products are broken down. The Electronics Industry Alliance (www.eiae.org) maintains a listing of organizations nationwide that accept donations of working electronics products. Goodwill and the Salvation Army can also find homes. Online marketplaces such as Ebay and ElectronicsRecycling.com can be a resource for connecting what you no longer want with someone who does. To recycle non-working electronics, search Earth 911’s (http://earth911.org/electronics/) database. Best Buy, Circuit City and Dell all have recycling programs for obsolete equipment. If you are new to the green conversation, the unfamiliar terminology can be a bit overwhelming, so we’ve included an overview of some of the terms you are likely to hear. BIOMIMICRY – A term coined by biologist Janine Benyus referring to the discipline of imitating designs and processes in nature to solve human problems. CARBON NEUTRAL – A term applied to individuals, businesses, or organizations whose practices contribute zero carbon dioxide emissions to the atmosphere. CARBON OFFSETTING – The practice of trying to balance the release of carbon emissions by planting trees or funding projects that should lead to the prevention of future greenhouse gas emissions. DAYLIGHT HARVESTING – A strategy which leverages sunlight to light the interior of buildings. This can be done with the positioning of the building on a site, the location of skylights and windows and light-level sensors to detect available daylight then modulating the output of electric lights. Daylight harvesting has the dual benefit of reducing the amount of electricity needed to power fixtures and providing sunlight which is healthy for building occupants. ECOLOGICAL FOOTPRINT – A calculation of land and water required to supply the resources that an individual or group demands, as well as to absorb the wastes that the individual or group produces. ENVIRONMENTALIST – A person who places high value on the environment and works for the preservation or restoration of the planet on which we live. GLOBAL WARMING – At its core definition, global warming refers to an increase in the surface temperature of the earth. In environmental conversations the term is used to refer to the warming predicted to occur as a result of increased emissions of greenhouse gases. GREEN ROOFS – Rooftops planted with vegetation. Benefits include evaporative cooling, conversion of carbon dioxide to oxygen, and reduction of storm water runoff. GREENHOUSE GASES – Gases in the lower atmosphere which reflect solar radiation back to the earth; such as carbon dioxide-a byproduct of burning fossil fuels, methane-from agricultural sources; and nitrous oxide-from industrial sources. RAINFORESTS – Tropical jungles growing in regions of high precipitation and warm climate. The topic of the rainforests often comes up in environmental conversations because they produce a high percentage of the world’s oxygen and much have already been lost in Latin America and Southeast Asia due to forestry, farming and other development. RENEWABLE RESOURCES – There is a finite supply of fossil fuels such as gas, oil and coal and a finite supply of building materials such as wood, asphalt (petroleum-based) and copper. Environmentalists are searching for sources of energy and building materials that are either inexhaustible such as wind and solar energy or materials that are rapidly replenished, such as bamboo which can grow up to 18 inches in a day. SCARCITY – The condition of wants and needs exceeding production possibilities. SUSTAINABILITY – The term sustainability captures the idea of doing things in a way that doesn’t deplete the earth so it can therefore be continued. The term is often used interchangeably with the term green. VEGAN – A person who lives a lifestyle that does not use animal products. With regard to the environmental conversation, vegans do not support current factory farming processes as sustainable. Though a vegan lifestyle includes the vegetarian practice of not eating meat, it also includes not wearing leather, eating honey, gelatin or other foods produced by animals, or using cosmetics, cleaners or pharmaceuticals that contain animal products. VOC (VOLATILE ORGANIC COMPOUND) – A highly evaporative, carbon-based chemical substance, which produces noxious fumes; found in many paints, caulks, stains, and adhesives. ZERO-IMPACT – The concept that people, buildings or companies have no negative impact on the environment in which they live or that they balance their impact on the environment. This encompasses carbon emissions, waste, water usage and pollutants.